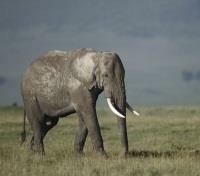 Embark on game drives in Masai Mara and Serengeti. 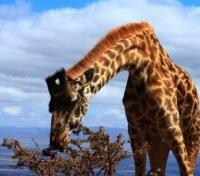 Explore Ngorongoro National Park, including the famous crater. 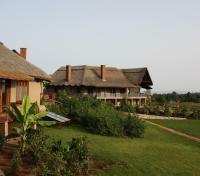 With private guide, visit a local Swahili spice farm village. Enjoy beach time in Zanzibar. Experience the thrills of an East Africa safari in Masai Mara, Serengeti and Ngorongoro, before finding sanctuary on the tropical beaches of Zanzibar. Embark on the wildlife adventure of a lifetime and meet East Africa’s most awe-inspiring animals while staying in luxury camps and lodges. Private guides and your own 4x4 vehicle will take you out each day into world-class parks and get you up close and personal with lions, elephants, giraffes and other big game. For your added comfort, an English speaking airport representative will you at the Jomo Kenyatta International Airport arrivals hall. This representative will walk you through the welcome package documents, your itinerary and answer any questions you may have. Palacina is an oasis of peace and calm in the bustling city of Nairobi and a great place to meet business and leisure travelers from all around the world. 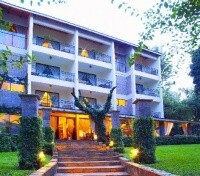 Conveniently located in the State House area, it is the perfect base for your Nairobi visit. Featuring luxurious, serviced and furnished apartments, premium suites, and a full-service hotel with all the amenities and services to make your stay comfortable and memorable. 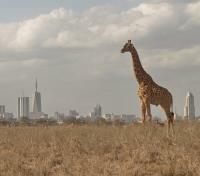 Experience the warmth of Nairobi with our hospitality in this dynamic, cosmopolitan city. 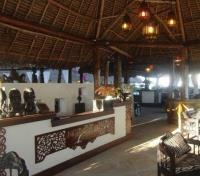 Palacina features stylish spaces celebrating the spirit of Kenya. Our country breakfast is served daily and the Bistro offers a full-service restaurant including room service. 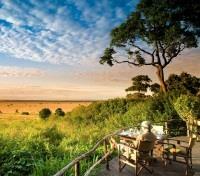 This morning you'll meet up with your guide and head off to the Masai Mara. Approximate travel time is six hours. Head directly into the park for game viewing and then return to the camp for late check-in or check-in first and then head out for an afternoon game drive. Chat with your guide for their recommendation based on your arrival time and park hours. Laid out along the Sabaringo River on the edge of the Oloololo escarpment, &Beyond Kichwa Tembo Masai Mara Tented Camp looks out onto the plains of the Masai Mara. 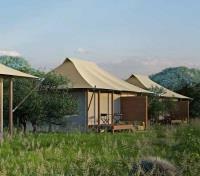 Set on a private concession leased from Masai landlords in the north of the Mara, the camp offers total seclusion and abundant wildlife. It was included as one of Travel & Leisure’s 500 Best Hotels, as selected by their readers. Each of the tents and suites are laid out on immaculate grounds, with leisurely groups of warthog feeding right outside the tent doors. Browse for souvenirs from your safari in the well-stocked Safari Shop or share your experiences around an evening cocktail in the bar. Meals packed with fresh ingredients and flavoured with aromatic spices are served in the simple but elegant dining room, open to the warm breezes coming off the Mara or beneath myriad stars looking out onto the African plains. 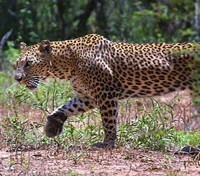 Set out this afternoon with your tracker-guide on another exciting game drive through the Masai Mara Game Reserve. 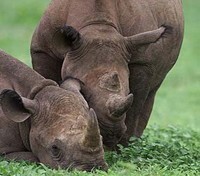 The Mara is one of only a few places left in Africa where guests can still spot free roaming rhinos in the wild, as – troublingly - it is estimated that there are only 4,000 black rhinos left on the continent. Today your guide will take you to locations where rhino sightings have been recently reported with an aim to bring you within camera range of these lumbering, beautiful giants. 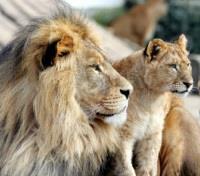 Depart the Masai Mara Game Reserve with your guide and travel towards the Isebania border crossing. 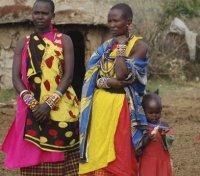 Enjoy the Kenyan country side driving past towns and villages along the way. Please be aware that this portion of the drive can be long depending on rains as this is a dirt road. During the dry season you can reach the border in approximately two hours. Upon arrival to the Isebania Border Crossing, switch to a Tanzanian vehicle and continue your safari with a Tanzanian guide. 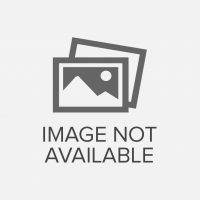 Tanzanian Visas can be purchased at the border at the cost of $100 USD for US citizens, and $50 USD for all other nationalities. Please Note: Visas must be paid in USD, and in cash. No bills can be older than 2006 as a local counterfeiting safeguard. A Single Entry Visa is valid for three months and can be used for multiple entries into Kenya and Tanzania. It is also required that you have your Yellow Fever certification handy upon crossing. After clearing the Isebania Border Crossing, you will continue your safari to the Serengeti National Park. A portion of this drive will be partly on a paved highway and partly on bumpy dirt road. 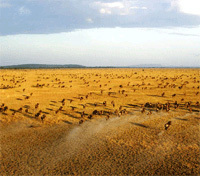 Approximate travel time to the Serengeti is between three and five hours, depending on road conditions. As you get closer to the Serengeti National Park, have your camera handy, and enjoy a game drive upon entry into the park as you head towards your lodge or camp. 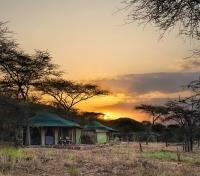 This Luxury Camp is ideally located within Central Seronera area of the famous Serengeti National Park, in the vicinity of the famous Moru Kopjes and Lake Magadi. 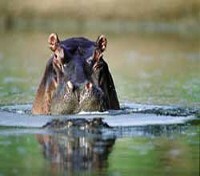 The camp is perched between the Rongai Hills & Nyaroboro Hills, just steps from the banks of the Mbalageti/Seronera River where an abundant variety of wildlife (including the Big 5) can be commonly spotted, as well as a Hippo pool which is located a few feet from camp. 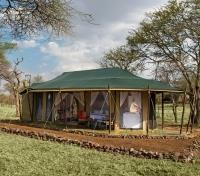 Each of the 20 Luxury Tents feature an en-suite bathroom and are fully electrified 24 hours a day. Within the spacious dining tent, enjoy a wide range of delectable dishes as well as refreshing drinks. Throughout your stay at Ole Serai Moru Kopjes Luxury Camp, enjoy a marvelous safari vacation highlighted by game drives, bush walks, star gazing, sundowners and boma dinners; the perfect Serengeti experience. This morning, your African adventure begins with an exploratory game drive through Tanzania’s oldest and most recognized National Park, the Serengeti. A land of unparalleled game viewing, from great herds of grazing herbivores to tactically cunning packs of carnivores, life on the plains of the Serengeti truly epitomizes the “circle of life.” A paradise for photographers and wildlife enthusiasts alike, it is all but guaranteed that you will spot giraffes and elephants feasting on shrubbery, impalas, gazelles and buffaloes traipsing carefully through the plains to avoid being noticed by on-looking lions, cheetahs and hyenas, and a spectacular range of birdlife flitting through the sky. On today’s afternoon game drive, the choice is up to you: search for the Big 5 or expand your horizons to discover something different. The Serengeti not only has a rich mix of animals – it also has an incredible array of bird life with almost 450 different species. Your African journey continues as you board a privately driven vehicle, accompanied by a local tracker-guide, to travel to the gigantic Ngorongoro Conversation Area. Depart the Serengeti National Park grounds slowly, taking in the wildlife along the way and visit the Serengeti Welcome Center to marvel at the panoramic view afforded from the lookout point. En route to your accommodations in Ngorongoro, take a break to enjoy a picturesque picnic lunch. Approximate travel time varies between five and six hours, depending on weather conditions and the number of stops made along the way. During the peak of the rainy season, longer travel times should be expected. The massive Olduvai Gorge, or Oldupai Gorge, is often referred to as “The Cradle of Mankind.” Beginning in the eastern Serengeti plains, the cavernous ravine is some 30 miles long and is the result of millions of years of natural erosion. The gorge features a steep-sided gully that cuts its way through the Great Rift Valley stretching along eastern Africa, and is named after a commonly used plant by the Masai people; Sansevieria-Ehrenbergii, or Olduvai for short. This plant grows plentifully in the area, and is used for making bandages, rope, baskets, roofs and clothing. 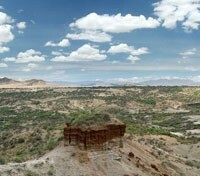 Today, discover the Olduvai Gorge firsthand alongside your expert local guide. 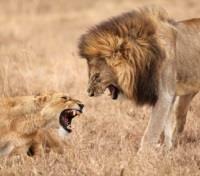 During your stay in the Ngorongoro region, a range of optional activities are available to you. From bush picnics to cultural visits to local Masai villages to guided wildlife discovery walks to sundowner cocktails, the choice is yours. As well, excursions to the massive Ngorongoro Crater can also be arranged where you’ll discover an incredible range of wildlife. If you would like more information on any optional activity, please speak to your Destination Expert. The Kitela Lodge is a small, exclusive lodge situated on top of a valley overlooking a coffee plantation, the Eastern wall of the Ngorongoro crater, and a beautiful waterfall. Offering guests a relaxing, quiet atmosphere surrounded by beautiful gardens, the Lodge consists of twenty spacious suites in cottages built in the style of an old colonial farm. Located on site is a heated swimming pool and soothing spa. 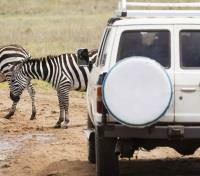 An experienced tracker-guide and private vehicle will accompany you today while exploring Ngorongoro National Park. 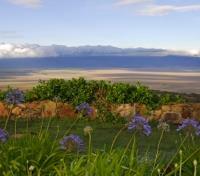 Today, discover one of the most remarkable wildlife conservation areas in Tanzania; the Ngorongoro Crater. Departing from your camp in a privately driven vehicle alongside a local expert guide, make your way to the entrance of the park, then drive a further 20 minutes to reach the rim of Ngorongoro Crater: the world’s largest inactive, intact, and unfilled volcanic caldera. This geological marvel was formed as the result of a gigantic explosion which caused the volcano to collapse on itself, thereby creating the massive crater. Roughly 12 miles wide and some 2,000 feet deep, the trip from crater rim to floor takes approximately 45 minutes by vehicle. The extremely fertile crater floor has attracted incredibly dense populations of wildlife, and at present over 25,000 large animals call the crater home, including some of the world’s last remaining black rhinos. The crater floor is also host to some of the highest concentrations of carnivores in the world, featuring large prides of lions, packs of hyenas and solitary predators like cheetahs and jackals. A keen eye paired with expertly procured search patterns from your guide is sure to help you spot a wide range of wildlife and perhaps some of the more elusive species like leopards, servals, and bat-eared foxes. 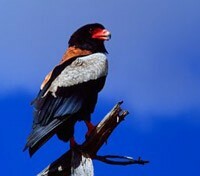 From Ngorongoro, your guide will drive you to Arusha. This drive will take approximately two hours and 30 minutes. 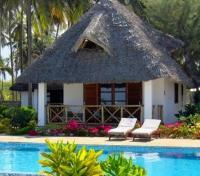 Board a flight in Arusha with service to Zanzibar. Approximate flight duration is one hour and 40 minutes. Please note, strict luggage restrictions apply to this flight: 1) Maximum weight allowance of 32 lbs (15 kg) is permitted per person. 2) Baggage must be soft-shelled and not exceed dimensions of 21.5” (55cm) x 13.5” (35cm) x 10” (25cm). 3) Additional baggage allowance can be arranged at additional cost, please speak to your Destination Expert for more information. You will be transferred between the airport and your hotel in a private vehicle with driver. The Next Paradise Boutique Resort sits on one of the most beautiful white sandy beaches of Zanzibar, facing directly the Indian Ocean and protected by the coral reef which is about one kilometer away. Located only 45 minutes drive from Stone Town and 30 minutes from Nungwi and Kendwua, (the beaches of north) it is perfect place to organize excursions in Zanzibar, spice tours, swim with dolphins, big game fishing, kite surfing, diving and snorkeling to Mnemba atoll. The charming small hotel in Zanzibar is well known because of its sober elegance, the excellent food and especially for its intimate and quiet atmosphere. At Next Paradise you will find 2 swimming pool and 20 fully furnished rooms all provided with air conditioning and WIFI. 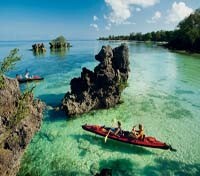 Zanzibar provides visitors with variety of activities to enjoy. Choose from half or full day tours that center on Swahili cultural, the historic spice routes, insightful explorations of Stone Town and culinary courses. Other adventures while in Zanzibar include picnics at the Dolphin Sandbank, visiting Mangapwani Beach and touring the former Slave Market. Of course, your lodging boasts a range of other activities to enjoy, including snorkeling, deep sea fishing and reef kayaking. Whatever you choose, you’re sure to find plenty of exciting and informative activities to fill your leisure time while staying in gorgeous Zanzibar. 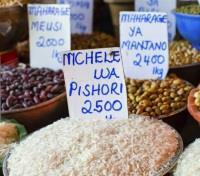 For centuries, Stone Town has been a vibrant center for, and vital source of, spices and cosmopolitan culture. On a private tour led by an expert guide, today you will discover the history of this UNESCO World Heritage Site. First visit a nearby spice-farm village to gain an understanding of the regional landscape while sampling a few tasty Swahili dishes and in-season fruits, then walk in the footsteps of the sultans through the winding, narrow streets of Stone Town, taking in the districts impressive architecture, colors and fragrances while learning its fascinating, if at times troubling, history as one of the prominent gateways to Africa. An incredible area brimming with relics from the 17th and 18th century, you will visit the former Slave Market, the Anglican Cathedral, the House of Wonders, the Sultans’ Palace Museum, the Old Arab Fort and the Old Dispensary on this tour before being returned to your accommodations. Please be sure to bring sunscreen, comfortable walking or hiking shoes and a sun hat, and note that transit time ranges from 30 to 90 minutes per direction based on the location of your accommodations. Please Note: A Departure Tax of $49 USD per person is required to be paid on-site by all guests visiting the island of Zanzibar. Hotels will also charge a fee of $1 USD per person, per day as part of an Infrastructure Tax; this tax must also be paid on-site prior to island departure. 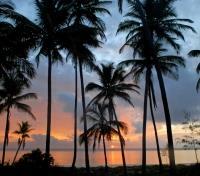 Board a flight in Zanzibar with service to Dar Es Salaam. Approximate flight time is 20 minutes. Please note, strict luggage restrictions apply to this flight: 1) Maximum weight allowance of 32 lbs (15 kg) is permitted per person. 2) Baggage must be soft-shelled. 3) Additional baggage allowance can be arranged at additional cost, please speak to your Destination Expert for more information.